Moving from your home or office starts a new chapter, but a downside of any relocation is the tremendous time and work required to execute it properly. It requires planning, prepping, getting rid of clutter and unwanted goods. It can also mean lots of waste and trash. 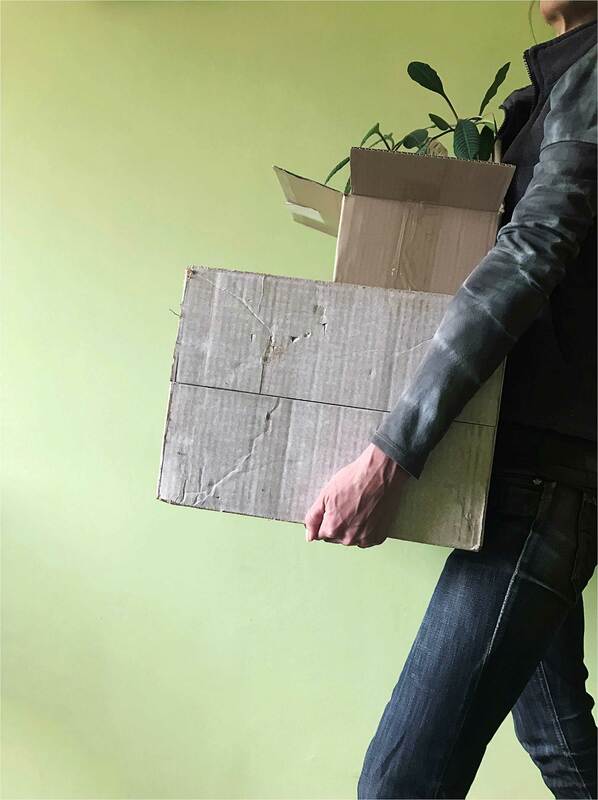 As a moving consultant and relocation specialist, I understand how easy it is to get caught up in the hustle and bustle leading up to moving day. Because my team and I are passionate about taking proactive steps toward eco-friendly moving, we are always cognizant of finding ways to reduce, reuse and recycle. According to a 2017 U.S. Census Bureau report, the percentage of people who move every year equates to 11.2 percent of the population (or roughly 36 million people). These numbers are significant as are the impacts of moving upon the environment. Imagine the amount of disposed furniture each one of these moves can accumulate! In an article published by Reuters, “In 2009, the U.S. EPA reported that furniture accounted for 9.8 million tons (4.1 percent) of household waste,” which then finds it’s junky way into our landfills. As far as managing your move, Evernote is a great too for keeping tasks organized and helping to ensure that things stay green. Besides keeping track of everything and promoting a more paper free environment with Evernote, here are some other suggestions to help make your next move more eco-friendly. From the paper, bubble wrap, styrofoam peanuts and cardboard, packing materials can result in piles of waste but by taking time to search your home and innovate, you can keep your items safe and keep trash down. Newspaper, old blankets or rags, egg cartons and a variety of other everyday household items can be used to protect your belongings. When you need to purchase materials think of repurposed paper, peanuts, and even reusable packing pads. There is also the option of renting reusable boxes. City Moving Boxes, a provider of packing materials that offers same day delivery throughout New York City has both conventional cardboard as well as reusable boxes for rent free delivery and pickup included. For additional companies offering this service you may wish to check out this article on MoverJunction highlighting 5 Companies That Provide Plastic Moving Boxes. We will recommend that our clients consider recycled boxes and materials both to be kind to our planet as well as save them some money. Moving is a great time to toss household and office goods that you don’t need anymore. The beauty of it is, most of these items can be recycled, and taking the time to dispose of them mindfully can go a long way toward making your move green. Most of us also have leftover items like old paint, batteries, and unused or old electronics. Most cities have centers to accommodate the drop of potentially harmful materials. To check out a list on the EPA’s website for Links to Hazardous Waste Programs and U.S. State Environmental Agencies by state, visit their website. Throwing these items out in the regular trash can be devastating for the environment. If you’re dealing with something that’s still usable such as an old CD player or Nintendo unit, you can take it to Habitat for Humanity, a local thrift shop or second-hand electronics store. They’ll be happy to give it a new life. There’s nothing like a move to kick decluttering into high gear. 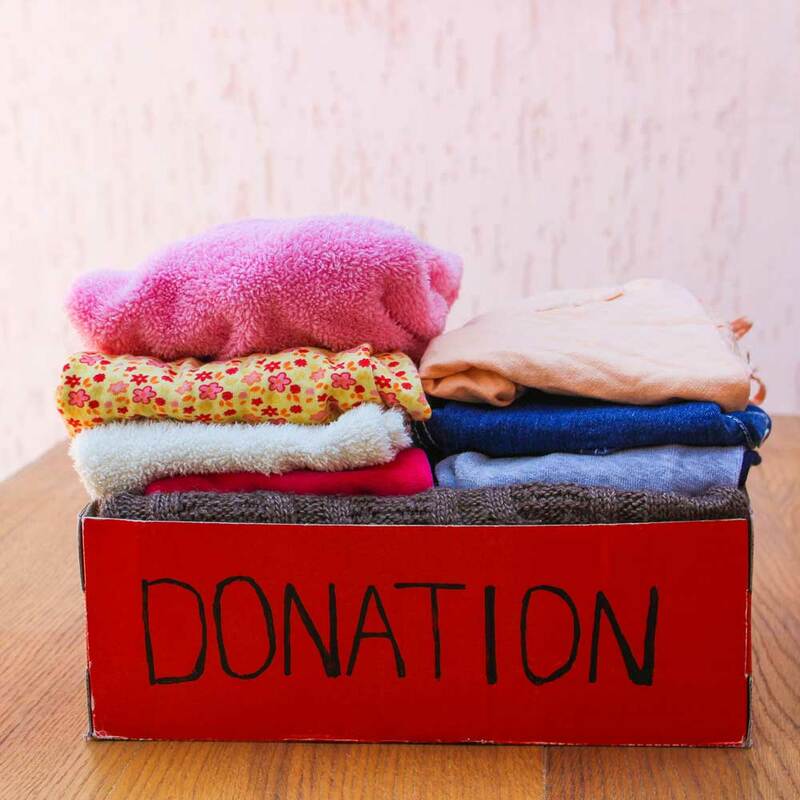 Old shoes, clothing, purses and furniture are prime items to donate. From second hand stores to non-profits and domestic abuse family shelters, you can rest easy knowing that someone will get good use out of the things you no longer need. And the best part is, you’re not filling the local landfill site with these unwanted items. We advocate donating rather than tossing unwanted furnishings and home goods as long as they’re still of use. There are organizations such as the Salvation Army and United War Veterans Council who will pick up for free. When we need to remove both trash as well as donation items, we call on The Junkluggers, a premium eco-friendly furniture and junk removal company specializing in donating, reuse and recycling. Their goal is keeping as much as possible out of the landfill and will take almost everything but hazardous material. Zach Cohen, brother of The Junkluggers founder Josh Cohen and the owner of the Manhattan and Brooklyn franchise said: “We like to think of ourselves as a logistics company that happens to specialize in furniture and junk removal. We have a true passion for giving back to our local community, and in this wild and wonderful city, there’s no shortage of people and organizations who can make use of your extra couch, old microwave, former office furniture, clothing that no longer fits—or any other items you may have lying around.” Homeowners may receive rate quotes over the phone and online or schedule an onsite estimate so they know in advance the projected associated costs. Specific designated time frames are given for pick-up and discount applied in the event of a delay that is 30-minutes or more. The Junkluggers partner with dozens of nonprofits and donation centers as well as provide tax-deductible receipts via email within a couple weeks. Whether you’re leaving the old place spotless for the next tenant or owner or scrubbing your new home before move in, be sure to steer clear of noxious chemicals. From all-purpose cleaners to scouring powders and a variety of other household cleaning materials, many cleaners contain harsh, if not downright dangerous chemicals. 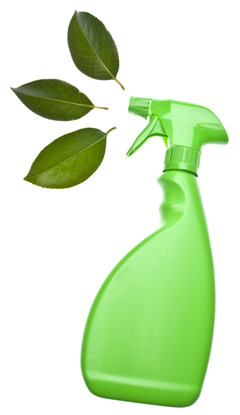 Go green with your cleanup by using natural ingredients such as baking soda for scouring the sink, vinegar on the windows and select safe and natural substitutes for chemical cleaners that won’t hurt the environment! For some wonderful recommendations, see this article from the Today website, “An expert’s choice for the best eco-friendly cleaning supplies” for 2018. Eco-friendly moving companies are cropping up all over the place, and many have a wide variety of policies designed to keep things green. From recycled moving materials to low-emissions vehicles, these companies make it a priority to take the environment into account during their moves. Nir Shuminer is President of Scanio Moving and Storage, a trusted moving company in business for over seventy years is committed to using biodegradable packing materials. He states “we care deeply about our impact on the community and the world at large and work hard to remain socially responsible through using green business practices.” Selecting a mover who shares these beliefs is key for ensuring an eco-conscious experience. 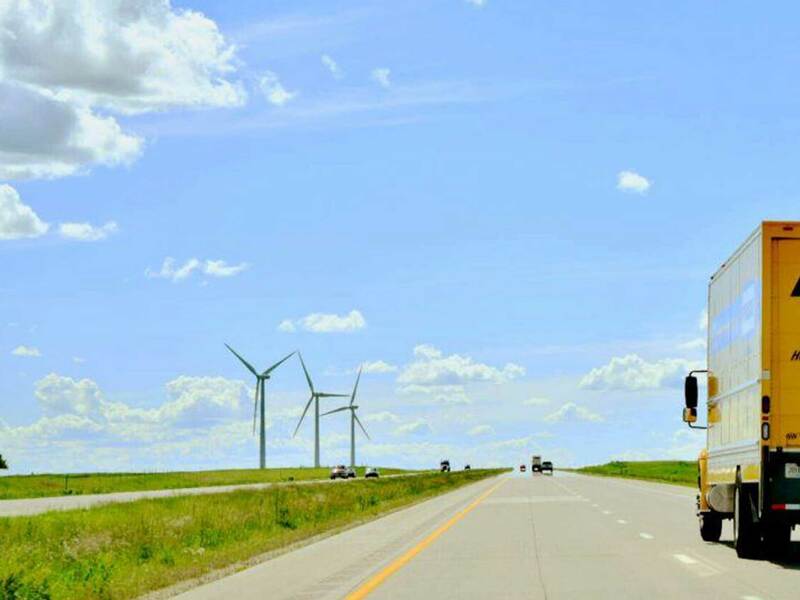 If you’re doing the move on your own then inquire about a rental truck that uses an alternative bio-friendly fuel, such as natural gas or biodiesel fuel. If your move is long distance, then consolidated shipping or even sending shipments by train. Even though moving is a massive undertaking there are ways to execute your relocation while keeping environmental considerations in mind and making deliberate efforts to go green. If you are planning a move and want to discuss your options for a greener move, please email or call us today!